Consul General Zhao expressed appreciation and gratitude to Mrs. Lande for her active role in promoting the friendly exchanges between China and the U.S. 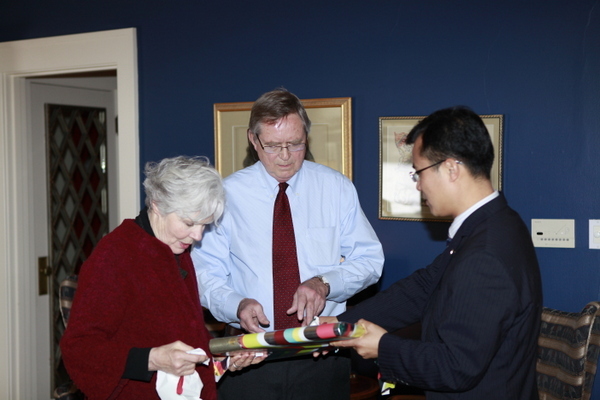 He welcomed Mrs. Lande to pay more visits to China in future. 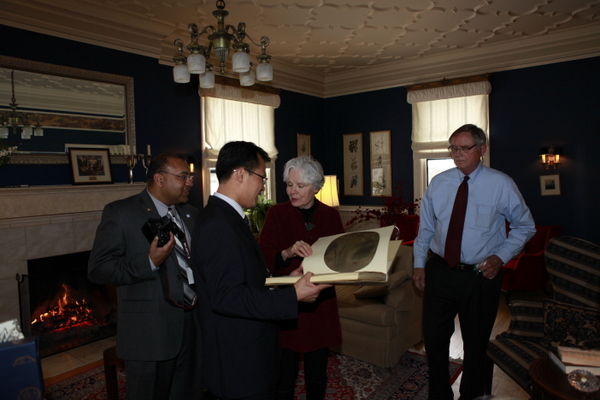 Mrs. Lande was grateful for Chinese Vice President Xi Jinping's reunion with old friends in Muscatine in February 2012. She said she will continue to work hard for the friendship between the United States and China.